We identify the principal activities of engineers, formulate twelve principles of engineering in general, and establish that the problems of software engineering differ little from problems in traditional engineering. 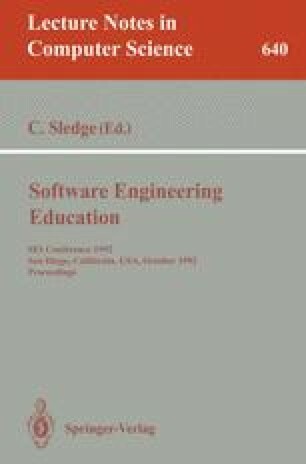 This leads to a discussion of software engineering education based on general engineering principles. Although our primary aim is to give improved structure to software engineering education, we discuss also the importance of computer science to software engineering, and show how the concepts of concurrent engineering manifest themselves in software engineering.